I've never known that math can be that cool and interesting. 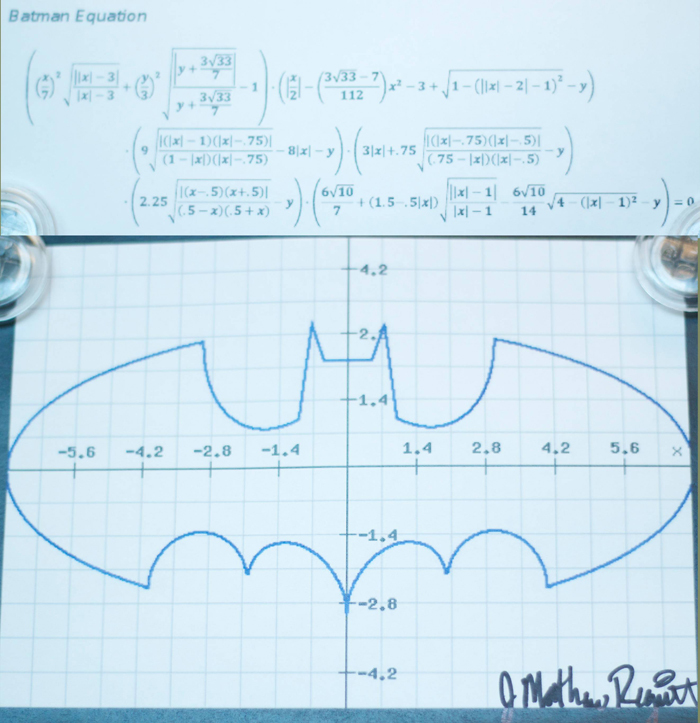 This batman equation and its graph went viral on the internet few years ago; a high school teach made it to draw his batman logo. He used several functions to draw parts of the batman then pieced them together by multiplying it. He plotted the graph by using computer program. How cool is that!